We’re all looking forward to the Apple Watch, but there’s one thing I’m definitely not looking forward to: the ability to answer phone calls on my wrist. And this clever video shows exactly why. The NSFW video below, by New York-based YouTube comedy team Rated WTF, is already pretty hysterical, just for showing Siri getting pissed off when her owner starts listening to his Apple Watch instead of her. 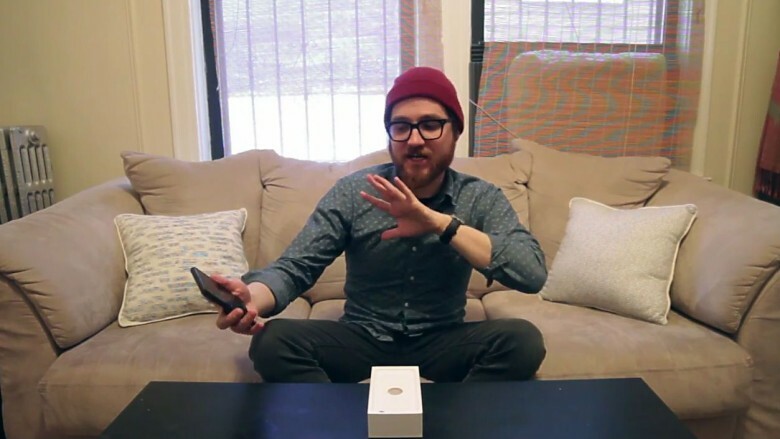 But for me, the real laugh-out-loud moments happen around 34 seconds in, when the puzzled owner of an Apple Watch struggles in absolute bewilderment to figure out what device he should answer an incoming phone call on: the Apple Watch or his iPhone. With OS X Yosemite, Apple introduced Continuity, a new feature that allows you to answer incoming iPhone calls on your iPad or Mac. It’s great tech, but to be honest, I sort of hate it, because it confuses me: Instead of one device ringing, all of a sudden I’ve got my iPhone, iPad mini, iPad Air, MacBook Air and iMac ringing. I’m not looking forward to my Apple Watch joining this shrill, shrieking cacophony, to say the least. In fact, why is Apple even allowing this functionality? The Apple Watch should let you decline calls on your wrist, but not accept them. Because let’s be honest. If you answer a phone call through your Apple Watch without headphones in at all, that makes you a jackass, like the guy on the bus or subway who insists on conducting his phone calls on speakerphone. Is wrist-talking the next scourge facing mankind in the wearable age? Kill me now.